Hello, dear readers and happy Friday to you! 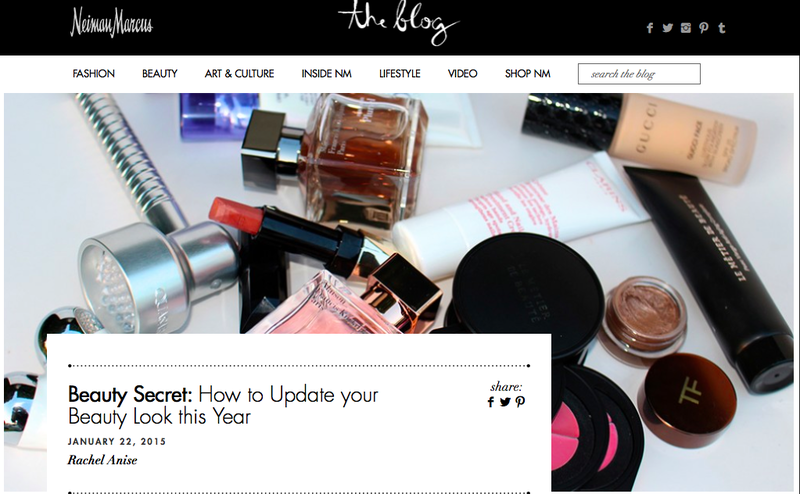 I am excited to share my latest piece for the Neiman Marcus publication, theblog; as the title implies, this particular article focuses on updating one's beauty approach in this new year. The full post can be read HERE. Bottom Line: I truly hope you enjoyed this glimpse into my contributing writer escapades and welcome your comments both here (but of course!) 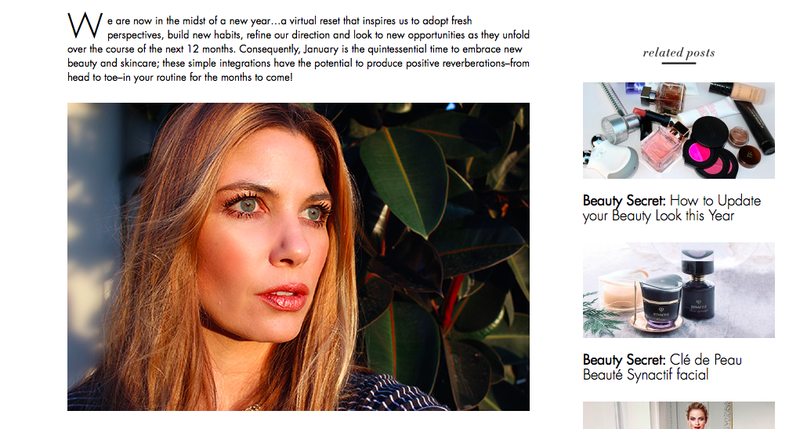 and on the Neiman Marcus theblog. Good things ahead including a FOTD featuring products from a fresh beauty line, an everyday look video tutorial and a host of new beauty and skincare gems I've been working with as of late! Have a beautiful weekend...any exciting plans?? Do tell! I'm really wishing I could get a baby quasar! I've wanted one for a long time! I wish you could get one too, Clever Girl...I truly love mine! Now I need that Gucci foundation ipso facto! I just bought two new foundations last week but you somehow manage to convince me, with one single sentence, I need this foundation in my life right now. Excellent article. I have been enjoying Francis Kurkdjian's absolue pour le soir this week and it is just divine! I also discovered the Malin and Goetz vitamin b5 moisturizer which will probably work well for me in the summer. Right now, I need more hydration. Have a wonderful week beautiful one. Indeed, Wefadetogray! The Gucci is a lovely option...quite medium in coverage and slightly glowy, yet long lasting. Thank you for the kind words about my article! Ahh...the Francis Kurkdjian range is marvelous. So complex and classic. Thanks for the Malin Goetz mention; I haven't tried anything from that line as of yet but I may have to soon! I appreciate your blog! I have liked, and more importantly, extensively used all of the products I have purchased off of your reviews and recommendations. I do have a question about the Cle de Peau Extra Rich lipstick in V309. I love the color but when I applied it balled up terribly and would not seem to spread across my lips. I have not had this happen with other brands. I do not think my lips are especially dry but I do live in the Midwest. Do you have any recommendations to help with this? Thank you! Thank you for the kind words! So sorry to hear that your initial experience with the CdPB lipstick was not good. I battle dry lips frequently and but found this formula to be hydrating, smooth and long lasting; the pigmentation and opacity, however, might require that lips be in top shape before application. I suggest doing a light exfoliation (a very soft wet toothbrush or damp washcloth can do the trick) and then put a dab of balm on first...then, give it another spin.